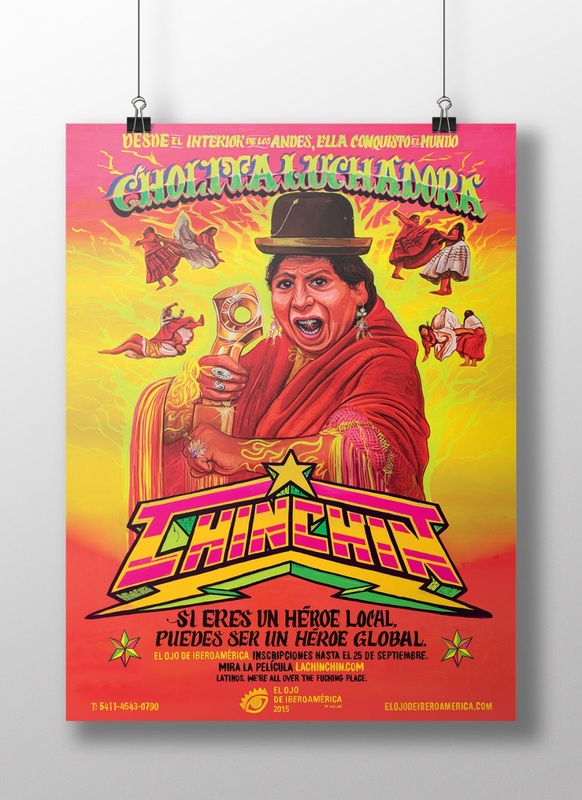 Poster created by peruvian studio Ruta Mare for the XVIII El Ojo de Iberoamérica International Festival. 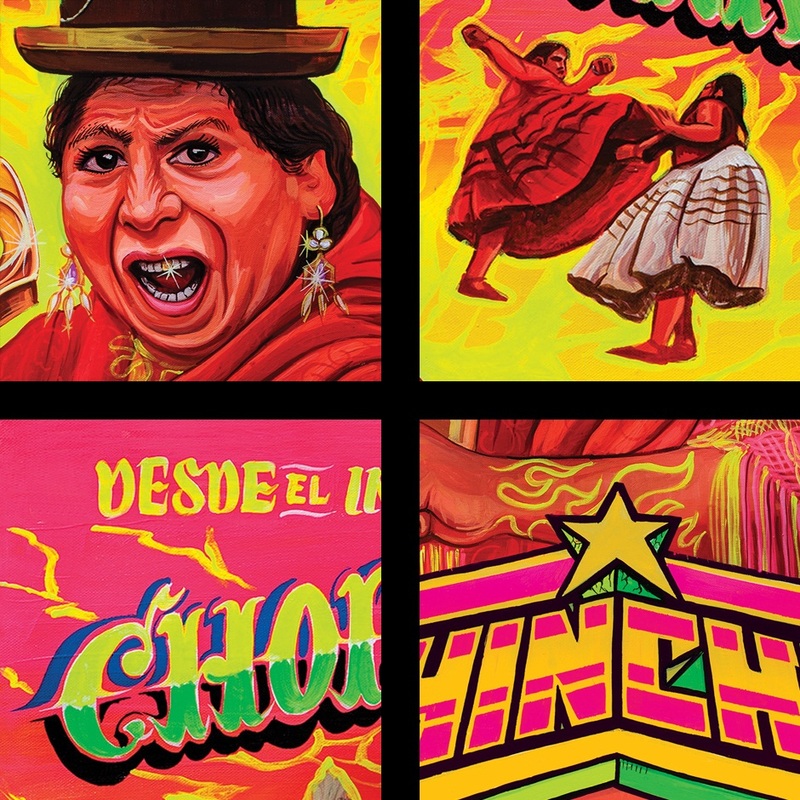 Peruvian studio Ruta Mare created a piece for El Ojo de Iberoamérica Festival's new campaign. 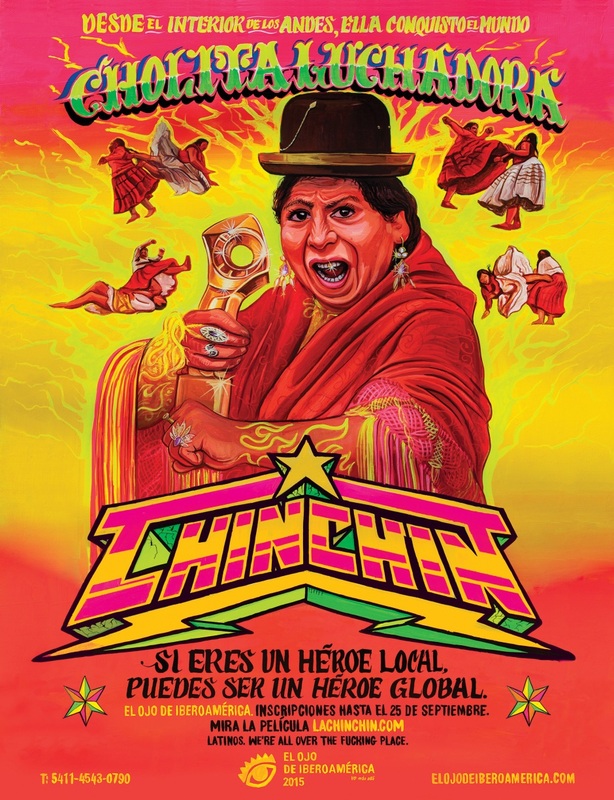 The campaign revolves around Chin Chin, the Fighting Cholita, protagonist of the film developed by agency Santa Clara and production company O2 Filmes. For additional information acess the campaign website.